Leigh Electrical offer a comprehensive Electrical Testing and Inspection service to businesses in Southend and across Essex. In order to comply with new regulations on Electrical Inspections for many business premises now need to ensure that they have a qualified Electrician Inspect and test their Electrical systems on an annual or bi annual basis. For the specific regulations pertaining to your individual business please see the the NICEIC guidance on the matter. Alternatively you can contact Leigh Electrical directly on 01702 873350 to discuss your regulatory requirements in more depth. Our Southend based, NICEIC Registered Electricians are qualified to carry out Electrical Testing and Inspections on any premises and operate 7 days a week to ensure a minimum of disruption to your business activities. Our prices for Commercial Inspection & Testing work are extremely competitive. The staff at Leigh Electrical prides themselves on their promptness, expertise and professionalism, we are a completely NICEIC Registered company which ensures the work we conduct is all to the most exacting standards in the UK. Leigh Electrical are based in Leigh-on-Sea, Southend, Essex however our Electricians cover the whole of Essex as well as London. For more information on the services we offer to the Commercial sector please follow this link or phone our offices directly on 01702 873350. Our Electrical Testing & Inspection Service for the Commercial sector has been highly acclaimed by previous clients for its pricing, effectiveness and convenience. 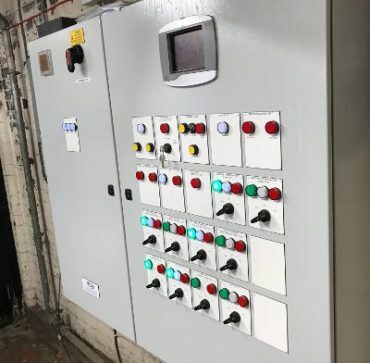 In order to minimise disruption to your organisation and premises our Electricians will gladly work unsociable hours and weekends in order to complete your Testing and Inspection. Even if your business is not subject to mandatory testing, it can often be advantageous to conduct a periodic Inspection of the Electrical systems to help identify any future issues that can be remedied easily if caught early. This can help to prevent large scale extensive repairs in the future.